We’ve all dusted down the summer sandals, got the shorts out (do they still fit OK?) and we’ve been out and about enjoying the sun. It’s a glorious time of year and it’s especially nice to be beside the seaside. We are delighted to have welcomed lots of families down to the English Riviera recently and have plenty more holidays lined up. As always, without our amazing network none of this would be possible. So a very sunny thank you to all of you. Who’s signed up for our amazing City to Sea event? If you haven’t yet done so but are (hopefully) thinking about it, here’s a quick summary of what your options are and how you can enter. See? Loads of options – run or walk, alone or as part of a team. We urge you to be part of this fabulous, challenging event in its very first year and help us raise both funds for, and awareness of, THHN. And, once you’ve finished, join us on Babbacombe Downs at the Race Village for a fun, family event, fish and chips and hours of live music. We are delighted to announce that the Torquay branch of Rockfish has picked THHN to be its chosen charity. Rockfish will now be fundraising for us by adding a £1 donation to each bill in its restaurant on Torquay seafront. It is entirely voluntary and all money collected comes straight to us. It’s a fantastic idea and we are extremely grateful to Mitch Tonks and the team for choosing to support us in this way. After the success of last month’s bag-packing, team THHN was back in action again. This time at Marks and Spencers in the Willows. For four days the team was busy helping customers with their shopping. We’re getting pretty professional at this now! Thanks to all our volunteers and to Marks and Spencer for inviting us along. Who remembers Superstars on TV in the 70s and 80s? Great show. If you liked the TV show you’ll love this great event being organised by Peak Performance on Saturday 4 July. It’s a team thing – you’ll need 10 people, at least 3 of whom must be female. There will be various individual track and field events as well as team events. Cost per team to enter is £100. There will also be other family fun activities, a BBQ, stalls and some great auction prizes. The event started last year and was a lovely day so get your team together and join us this year for some super, superstars activity. For more information or to enter a team e-mail Sarah at selgeordie@yahoo.co.uk or give her a call on 07990 513235. 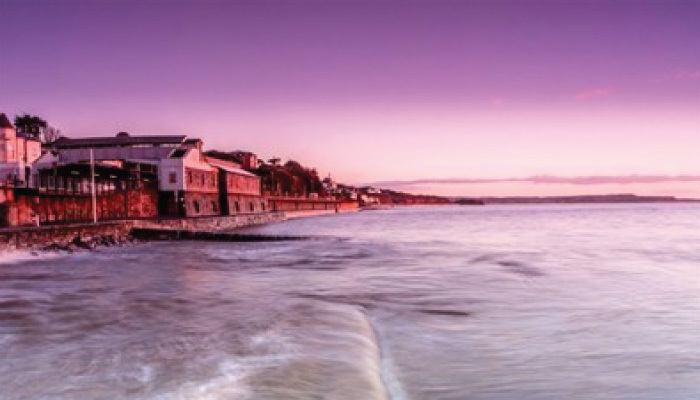 Sunday 28 June is the Torbay Half Marathon and there is LOADS going on. Hoards of people running to raise money for us, the final mile for all the schoolchildren who have been running the half marathon for 12 weeks and our Memory Maker Mascot Race. It’s a great family event on Paignton Green and team THHN will be there – we look forward to seeing you. Special thanks to our sponsors of this event, Angels Tearooms. There’s still time to sign up for the 1 mile family fun run by the way. Follow the link www.thhn.co.uk/funrun to find out more. Our wonderful caravan was made very good use of throughout May. It was holiday home to families from Paediatric Cardiac Unit at Leeds General Infirmary, Plymouth CLIC Sargent, Growing Works and Leicester CLIC Sargent Team. Thank you to everyone involved in making these holidays happen. On Sunday 12th July THHN are holding a fun Pitch & Putt charity evening at Cayman Golf, Churston. Tickets are £7.50 and include 18 hole round of golf and a burger or sausage from the THHN BBQ. Tickets are on sale now at our Memory Makers shop. Tickets in advance only. Paignton Fun Day – Paignton Green Sunday 21st June, We will be attending and have lots of fun games for children to play. Boulder Bunker who have become part of our fantastic network and now offer free entry to all our holidaying families. What a lovely new activity for everyone to enjoy. Westcountry Fruit Sales, Claire’s Cakes, Halletts the Bakers, Save on Meats Torquay, Kayleigh’s Kreations, Riverford Home Delivery and D&H Fisheries of St Marychurch for all the great goodies that go into the hampers for our families. Vain Train and Teddy Mountain UK for donating toys for our holidaying children. Luke Randall and all the staff at Job Centre Plus for having a dress down day in aid of THHN and raising £88. Les Jackson. Les is a great THHN supporter. He’s based up in Southport and has been running for the past few years, raising money for us each time. He’s raised over £3000 for us already and is planning an extraordinary 14 runs in 2015 to raise more money, including our very own City to Sea ultra marathon. Fantastic work. The lovely team at the Day Lewis Pharmacy in Wellswood who held a special fundraising day for us with a tombola, cake sale and lucky dips. The Marine Hotel in Paignton who welcomed a family from Victim Support. The Ashley Court Hotel who gave a holiday to a family referred by the Plymouth CLIC Sargent team. Our latest City to Sea sponsor, Woodlands Family Theme Park. Our amazing new charity shop, Memory Makers, in St Marychurch precinct, is open 6 days a week, from 9am to 5pm Monday to Friday and 10 to 4pm on Saturdays. It’s packed full of great children’s toys, books, games, clothes, and other paraphernalia. It’s also home to lots of our THHN branded merchandise, so please do pop in and see if anything takes your fancy. Either way, you’ll be welcomed by members of the fabulous Team THHN who would be delighted to see you.